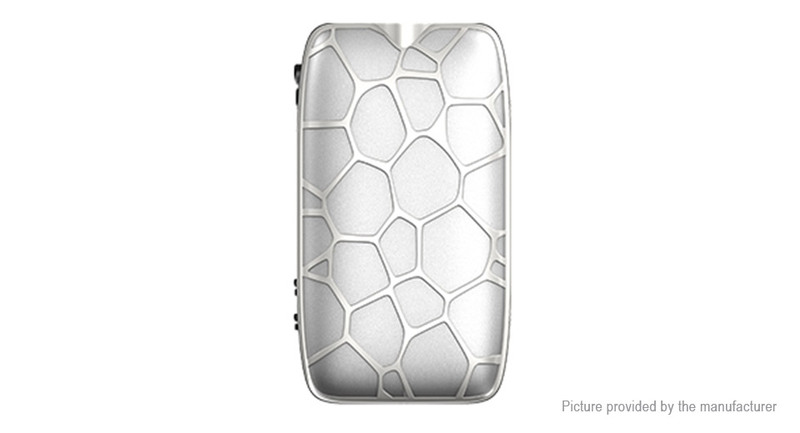 Like all works of art, IJOY MYSTIQUE Mod&apos;s lines and features are balanced in art. The ergonomic streamlined design and palm-friendly size to seamlessly provide a comfortable touch and feel. The MYSTIQUE Mod adopts 5 optional modes of PMODE, POWER, POD, MTL and TEMP. It is compatible with dual 18650 batteries and can fire at wattage up to 162W with beastly power but a full safety suite of protection. Built-in cutting-edged IWEPAL chip-set for output stability and come with various protections. Support quick charging and firmware updates with USB cable.The MYSTIQUE Mod fully shows IJOY&apos;s craftsman spirit, bringing the excitement to a whole new level. Take it home and get ready to get lost in the massive clouds. Dual 18650 batteries: compatible with the tantamount power of dual 18650 batteries, the battery life of MYSTIQUE KIT last TWICE as durable as the competitive devices. Short circuit protection: when atomizer short-circuit occurs, the device shows "SHORTED"
Low power alert: when battery voltage are below 6.6V, the device shows "LOW BATTERY"
Battery reverse protection: when the batteries are reversed, the mod will be protected from breakdown. PCB temperature overheat protection: when the temperature is too high, the output will shut off automatically and the screen will display "PCB TOO HOT". Low/high resistance protection: when the resistance is lower than 0.05ohm, the device shows "OHMS TOO LOW". When the resistance is higher than 3ohm, the device shows "OHS TOO HIGH". Switch timeout protection: firing timeout is 10s, intelligent overtime protection will avoid atomizer&apos;s coil and cotton burning.